The first step to creating more earning opportunities is to manage your time efficiently and effectively. Your morning schedule should start at the earliest possible hour. Calculate the free time you spend at home before going to work. It should also include the free time after work and going to bed. Is your present job earning you a sufficient salary for survival and family needs? Are you satisfied with survival and making both ends meet? If no,you have to think of earning more. You should be willing, committed, and prepared to sacrifice instant gratification goals. Job Change: Changing your present job for a better paying one needs planning. Search for high paying new jobs and go to interviews. If you get selected, weigh the pros and cons with the present job. If the pros are 80% and cons are 20%, you may think of changing. You have to consider technical, personal, financial, and emotional growth as the primary criteria. Extra Job: An extra job could be any part-time profession of your choice and expertise. You may be an expert chef, creative person, finance specialist, etc.You may work for an organization or freelance. You can choose the volume of work you can handle in your free time and meet deadlines consistently. Once you have taken any of the two actions, wait for a few months. Is your satisfaction index moving up? How is your health and fitness level? Are you prone to stress and fatigue? Are you able to manage your professional, personal, and family life satisfactorily? If yes, stay on course and avoid deviating from the chosen path. If no, take a break for a few days and change your plan. Can your extra-job pay more if you choose it as a full-time profession? If yes, you may think of a switchover. If no, you can keep the full-time job and quit extra-job. It could be because your satisfaction index and health may be failing.There are plenty of other opportunities to earn more. Small Business: Investing in a small business with minimum risks and decent ROI could be an option. Product retailing and service providing are the two recommended options. 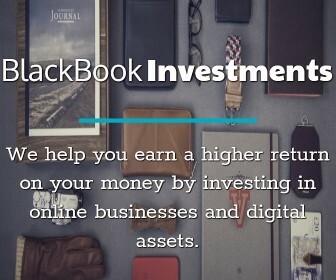 Plan your initial investment and calculate the average monthly ROI. You can think of taking a small business loan for investment. Spend your extra time for entrepreneurship. You can ask your spouse or family member to handle it while you are at work. If they don’t have the skills, you can train them. Treasury Bonds: Investing in the US treasury bonds is a secure way of earning more with little or no risks. It is consistent and reliable. Logistics Stocks: Logistics is an industry that is more secure than any other business for today and the future. Risks are only a few unless the company goes bankrupt. Analyze the market and invest in multiple logistics company stocks. Consult an investment broker and explore the long-term risks and rewards. Then you can take a decision.